Dapper Doggies Depot caters to your special furry friends by offering full-service grooming and more. Your pets are our passion and thus always receive that extra special time and attention. We do not cage your pet while they are in our care. This prevents the stress and anxiety which comes from being kept in loud and crowded kennel rooms for extended periods of time. We start out by scheduling your furry friend with their own appointment time. This includes up to two hours of one on one attention. Plan on spending a few extra minutes on your first visit so we can discuss your pet’s style and grooming needs. After finishing your pet’s groom…we take courtesy photos for you. These are later posted to our Facebook page and available for viewing at your pleasure. We send you a courtesy text when your pet is ready for pickup. 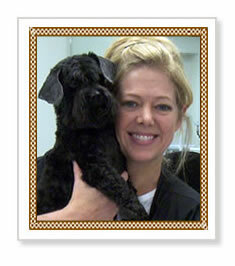 We strive to give all our special furry friends a private and unsurpassed grooming experience. We look forward to seeing them time and time again. Stacey, founder of Dapper Doggies Depot, received her formal training and certificate of diploma from The Nash Academy of Animal Arts in Lexington, Kentucky. Her educational program included over 600 clock hours of hands-on instruction, as well as traditional coursework in all phases of dog care, grooming and styling. She regularly attends grooming expos, trade shows and participates in continuing education classes in order to remain current on what’s hot in the grooming industry.